Staff members, members of the Miramichi Chamber of Commerce and local dignitaries were on hand to celebrate Beaubear Credit Union’s grand opening on Monday, February 25th at their new location at 202 Pleasant Street in the former community of Newcastle. This branch was previously located on Newcastle Boulevard on the Queen Elizabeth II square. 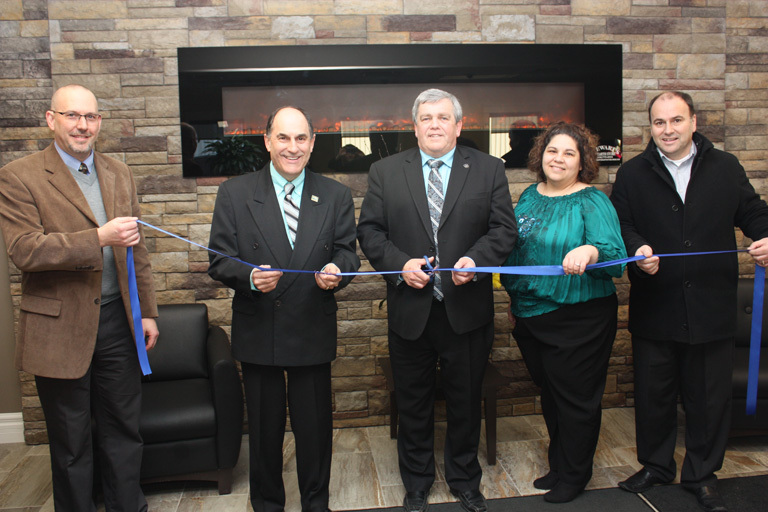 The credit union moved its Newcastle Branch to the new location because it was time for a change and they had a beautiful spot. “We have about an additional 500 square feet,” said CEO Andy Richardson. Robert Trevors, Progressive Conservative MLA for Miramichi Centre and minister of Public Safety, congratulated and welcomed Richardson and his staff to their new location. “I appreciate your input to the downtown of the Miramichi and for the amount of years you’ve invested here,” said Trevors. “I’m really proud of the way the corner’s coming back, with the developers in the area here.” “The corner, which is dubbed the action corner, is coming back,” said Trevors. “We see that action coming back and we need to get that action back to get our young people back,” said Trevors. Having been a part of the Miramichi for 75 years, Beaubear Credit Union will continue to support the community. 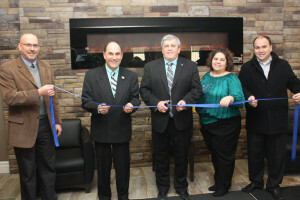 Mayor Gerry Cormier was thrilled to be a part of the grand opening and tour the new building. “It’s just beautiful. There’s no other way to describe it but beautiful,” said Cormier. Beaubear’s new home, which they are leasing, is brand new, aside from a section that was renovated from the former Sears store. They were open for business at the new spot on December 11th. Together with their Water Street location in Chatham Head, there are a total of 27 Beaubear Credit Union employees in Miramichi, NB. Note: A PDF of the article published in The Miramichi Leader newspaper can be downloaded by clicking here.